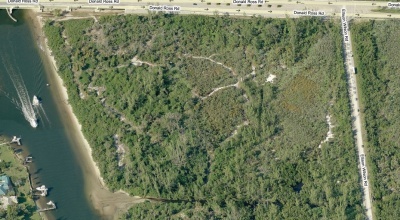 Posted by Waterfront Properties on Tuesday, August 30th, 2011 at 4:28pm. I drove by Frenchman's Harbor yesterday evening and was impressed at how far that community has come so quickly! A friend of mine who is the engineer who designed the bridges within this community let me know that the bridges are all now complete in the community. So this is what the corner of Donald Ross Road and Ellison Wilson Blvd. looked like not very long ago. And here are some photos taken of the progress in the community. 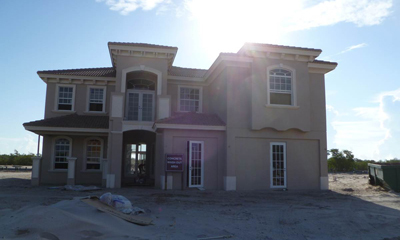 2 Responses to "Frenchman's Harbor - It's All Coming Together"
Cal Carter wrote: Nice! How far to bay or ocean and do the homes come with slips? Posted on Thursday, September 15th, 2011 at 4:31pm. 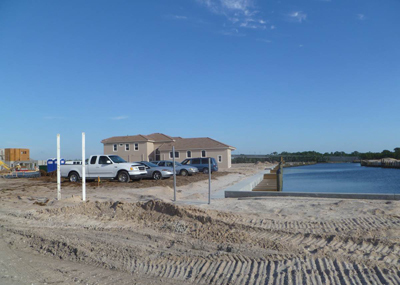 Waterfront Properties wrote: Cal - Every home in this community will come with a dock. I live down the street from the community. It's going to be so beautiful. 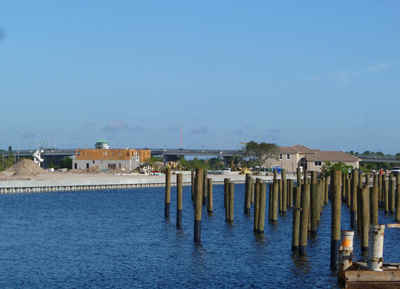 Residents will be able to access the Intracoastal and the Atlantic Ocean from this community. I drove by the other day and noticed a few other homes going up. I can't wait to see it finished. Posted on Friday, September 16th, 2011 at 3:34pm.